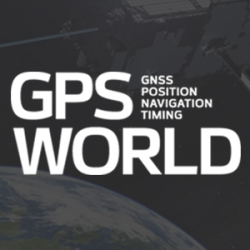 “What can we do to reduce the vulnerability [of GPS] and ensure that the expectations of the public are going to be met?” asked Dr. Bradford Parkinson as he opened his presentation this morning (Tuesday, April 15) at the European Navigation Conference, ENC-GNSS 2014 in Rotterdam, The Netherlands. Parkinson went through his 61-slide, 50-minute briefing on what he called “PTA” — Protect, Toughen, and Augment — a proposal concerning not only GPS but PNT systems globally. An article by Parkinson based on this talk will highlight the special 25th Anniversary edition of GPS World, to appear in conjunction with this year’s July issue. After briefly overviewing the many worldwide applications of GPS and its penetration and participation in several vital markets, Parkinson stated “If we want to ensure the economic benefits of GPS, there are some essential needs that a user has. The first need is availability, and I’m defining availability in a certain way. It’s at the required accuracy for the application involved, and it has a bound on the random events that happen out there. Parkinson developed his Protect, Toughen, and Augment proposal in part in response to a remark he heard from a high U.S. government official who opined that “GPS is much too vulnerable, we need to replace it.” While agreeing that the system is vulnerable, Parkinson has strived for a more constructive approach to the problem. At the end of his presentation, Parkinson introduced one of his colleagues in the audience, from his early days on the GPS Program, and stated that if it was not for Hugo Fruehauf’s expertise with atomic reference systems in 1973, there might never have been a GPS program. Parkinson was among attendees at an ENC event at City Hall hosted by the Mayor of Rotterdam, The Netherlands. From left are Hugo Fruehauf, Mrs. Bradford “Ginny” Parkinson, Professor Bradford Parkinson, Don Jewell — GPS World Defense Editor, Jac Spaans — Chairman of the Organizing Commitee of the ENC, and Adrianna Spaans.